Clean oil paint from paint-roller covers and cages before the paint dries — it’s the best way to maintain the paint-roller covers and cages. 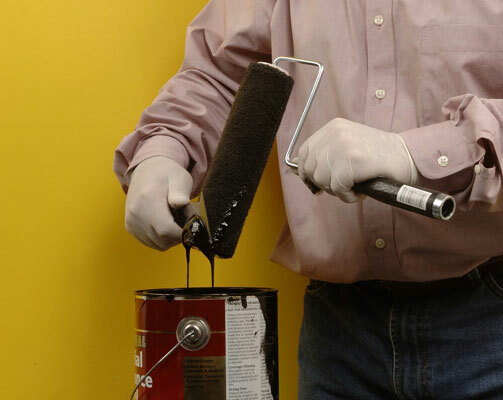 Oil-based paint comes clean only with solvent, such as paint thinner. You can’t clean oil paint with simple soap and water. Cleaning with paint thinner can be quite messy. Work in a garage our outdoors, if you can. Be sure that wherever you choose is protected and well-ventilated. 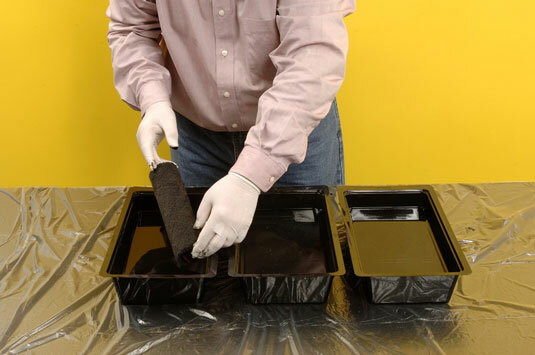 1Gather your materials: Latex gloves, goggles, newspaper or dropcloths, three large plastic or metal containers, paint thinner, a 5-in-1 tool, used roller cover and cage, paint container, paper towels. Warning: If you stand the cover on newspaper, you could reactivate the ink in the paper and ruin your cover. 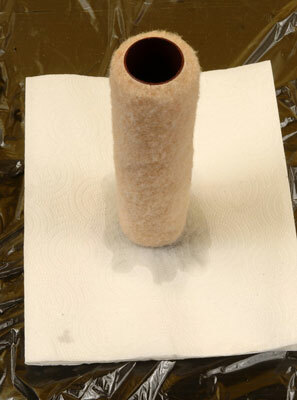 Remove it and wipe it with paper towels to remove loose paint.